Tuzluca Dam is planned to be constructed at Tuzluca Province of Iğdır city. The Company Bernak Elektrik, who previously won the tender, later withdraw from the project since the profit margin was very low (2.5%). Following that, State Hydraulic Works (DSI) announced that it will construct the dam itself. Thus, the dam is going to be built using tax money. Currently, the construction work is subcontracted to U-Y-S İnşaat. DSI tries to win public approval emphasizing that the project is an irrigation dam. However, in order to irrigate the low fertility land with wild irrigation methods, higher fertility agricultural land and fruit orchards nearby Aras River will be submerged. The 45 meters high dam will be constructed 100 meters to Armenian border. 12 km2 of area in Halikisla Village, entire Aras River Bird Sanctuary and 5 villages that hosts 2000 people and their agricultural land will submerge. These people will be displaced. Aras River Bird Sanctuary, which hosts the highest number of bird species in eastern Turkey, is under threat of destruction and will not exist in maps anymore. Project Details If the planned Tuzluca Dam is constructed in Aras Valley, the area in which 249 bird species live, feed and breed will submerge. If the Tuzluca dam is constructed in the Aras Valley, the feeding, breeding and wintering areas for at least 264 bird species and 109 mammal, reptile and amphibian species will be destroyed. This includes 34 vertebrate animal species threatened or near threatened with extinction. Half of all vertebrate land animal species in Turkey has been recorded here. Birds ringed (banded) and satellite-tracked at this wetland by KuzeyDoğa Association were recorded to migrate to and from three continents and dozens of countries, including Cyprus, Djibouti, Ethiopia, Georgia, Hungary, Iraq, Iran, Israel, Jordan, Kenya, Kuwait, Russia, Saudi Arabia, Somalia, South Africa, Syria, Ukraine, Yemen, and Zambia. Development of Alternatives The project should be stopped and the area should be declared a protection zone, a natural park. If the area can be conserved as it is, the park can be a good attraction for birdwatchers from all around the world. There is a huge potential for eco-tourism. 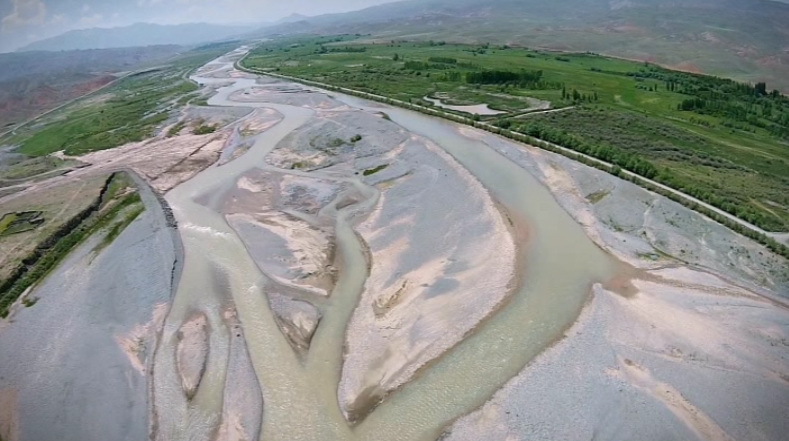 Furthermore, as Aras River passes across Iğdır city, instead of building a large dam, taking water directly from the river and using drip irrigation methods would not only prevent the destruction of these areas through dam construction, but it also is a much more efficient method. Why? Explain briefly. The issue has been covered in press regularly and the awareness level of the local villagers has become higher. Some of the villagers, who were proponents of the projects earlier, changed their minds after the media campaign run by Kuzeydoga Society. The campaign managed to publish the issue in several national and local news outlets, even on TVs. Yet the project is not yet shelved and the EIA report is completed with a positive outcome.